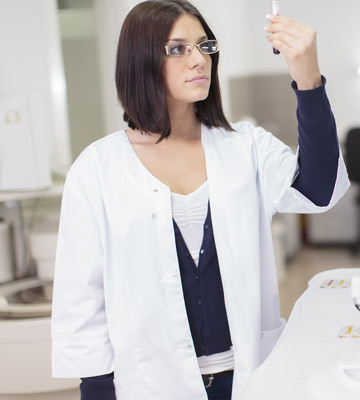 A growth hormone deficiency blood test is taken to check the levels of GH in the blood. Blood is taken from the arm by a qualified medical practitioner in just the same way that a person would get a routine yearly blood test. This test; however, is a full blood panel with emphasis on growth hormone and sometimes insulin like growth factor 1 (IGF -1). An HGH blood test cost is something that is built into the entire hormone replacement therapy (HRT) program. There is no separate charge for blood testing at any time throughout the course of therapy. With a reputable clinic, one price is paid for every aspect of therapy. These costs will vary from patient to patient based on their unique and specific needs. The patient will sit in a chair with his or her arm outstretched (palm facing up) on an arm of a chair. The veins located on the opposite side of the elbow will be exposed for blood testing. A qualified medical practitioner will place a rubber band around the upper part of the person’s arm to stop the blood flow and engorge the veins. This makes it easier to locate a vein for testing. The practitioner will then use an alcohol pad or swab to gently sterilize the area of the skin that will be used to give blood. A needle will be gently put into a vein and blood will be drawn out into a tube. Once enough blood has been taken from the patient, the needle will be removed, along with the rubber band and a cotton ball and bandage will usually be placed over the testing site. HGH deficiency blood testing is that simple. There is no pain involved either. A patient should only feel a small prick when the needle enters the skin. It takes only minutes to get enough blood and then the test is finished. HGH blood testing is a requirement for any person who wishes to participate in hormone replacement therapy (HRT). Any clinic or professional who will give a diagnosis or prescription for this kind of therapy without having a patient’s results from HGH testing will be doing a patient a great disservice. HGH testing in the U.S. is mandatory because human growth hormone is a controlled substance. It can be dangerous to the body if a person uses it without needing it. In other words, giving the body an overdose of HGH will most likely only cause negative side effects. HRT is a kind of therapy that gently replaces and balances growth hormone levels so that a person can function at optimal performance. With the amount of misuse and abuse of HGH in the U.S., the government now tries to impose fines up to $250,000 and even jail time on perpetrators, according to CNN news. The authorities cannot catch everyone who misuses this potent hormone, but officials do work to keep all people and clinics safe from the abuse of human growth hormone. For those who wish to get an HGH deficiency blood test done, they will usually visit a local LabCorp if working with most reputable online HRT clinics. There are other labs that are used as well. The clinical advisor who is in charge of the patient will set this appointment up for them. This helps with convenience and lets a patient know that the clinic and lab are working together for the best interest of the patient. When blood work is completed, the lab sends the HGH blood test results directly to the doctor at the clinic for review. For other questions about HGH deficiency blood testing or anything about HRT and if it is right for you, fill out our online contact form. It does not cost you anything to get more information about a kind of therapy that can truly change your life for the best.